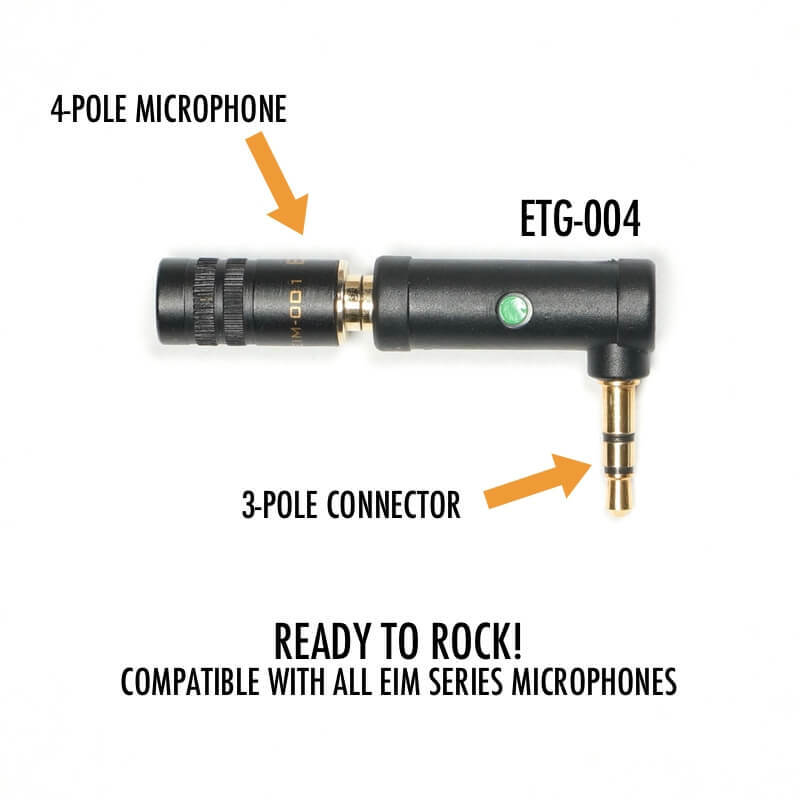 If you have an EIM series microphone made for your iOS device, you can now connect that microphone to your DSLR or mirrorless camera, digital voice recorder, or even a PC by using the ETG-004 adapter. And the right angle shape of the adapter makes it easy to position your microphone or cable. 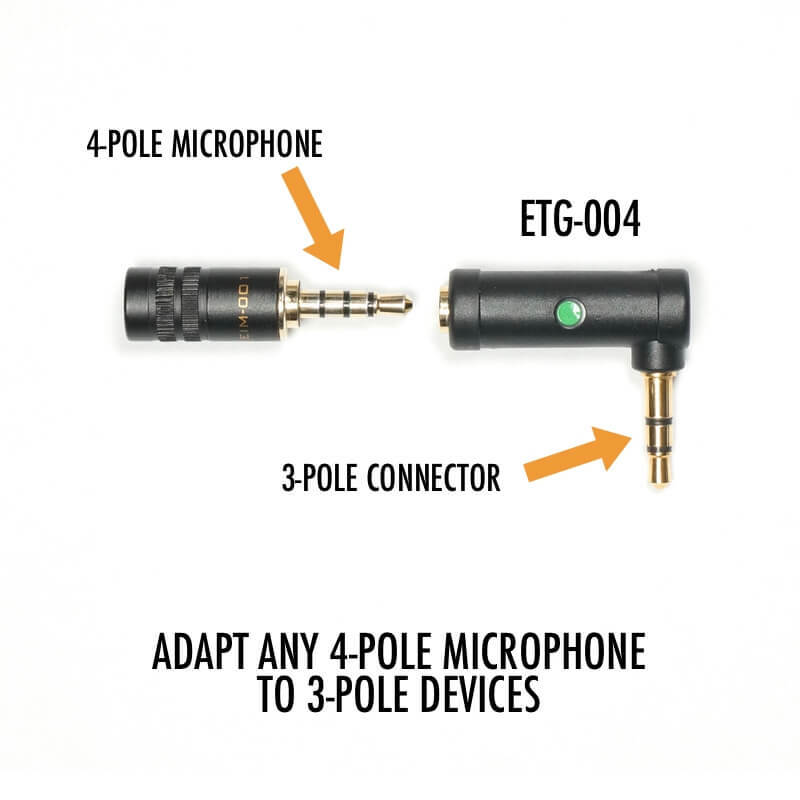 Simply plug your EIM series microphone into the adapter, then connect the adapter to your camera or whatever 3 pole device you’re using and that’s it!